3. “Glass Float Trees”. once used in Fishing, now loved as Photogenic Spots! 4. 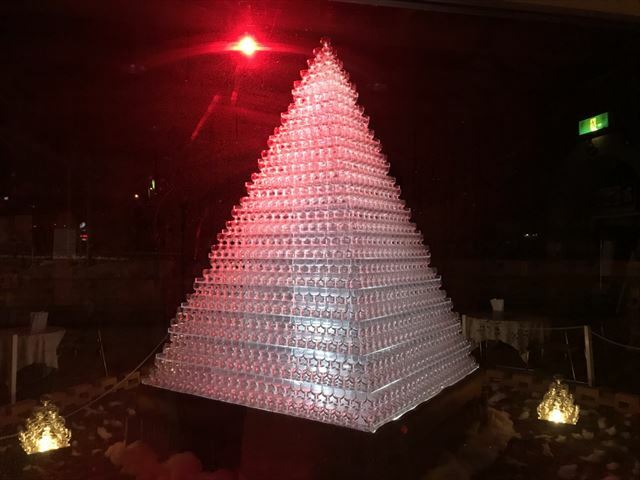 “Otaru, City of Glass”, Expressed in a Wineglass Tower! 5. 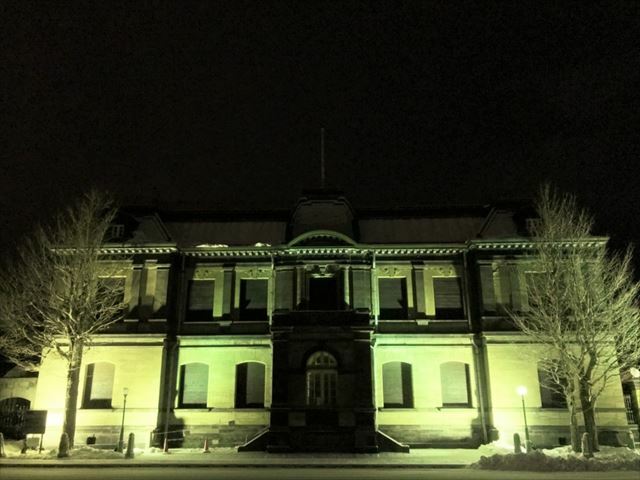 A Historical Building, fantastically Lit Up! 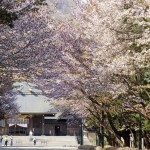 Otaru Station is appropriately considered the gateway to Otaru’s many and majestic tourist areas. 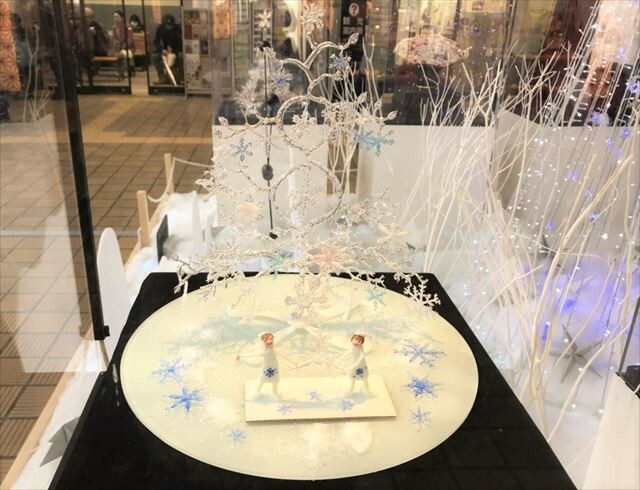 During the period of the Otaru Snow Story, there will be a magnificent reception of Glass Art Showcases that will welcome you, giving you an inkling of what you are in store for. 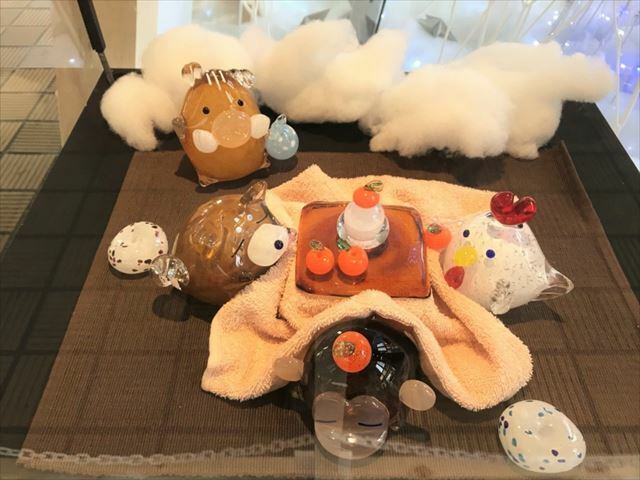 These glass art crafts are products made in Otaru’s glass workshops and delicately express “the winter of Otaru” via glass. These “snow crystals” are individually unique, and not a single one of them are the same. We believe that you will be floored by the quality of such glass art crafts’ showcases! There are also terribly adorable pieces among the glass art crafts, cute little masterpieces that will melt the cold away from your bones just by their appearance alone; they are definite must-sees! In ending, glass art crafts are very delicate, and once they grab hold of a beholder’s heart with their beauty, they do not let go. 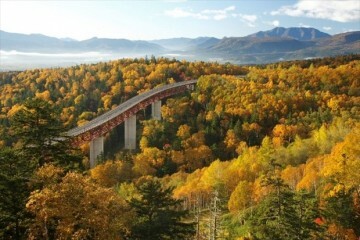 We guarantee you that the fragile beauty of their sights will remain strong in your memories of Otaru tourism. 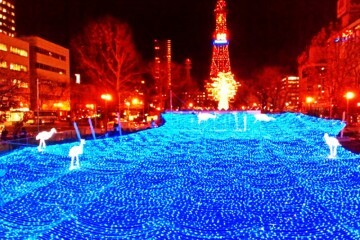 *The* highlight of the Otaru Canal is its illumination, which further romanticizes the city with its soft light. 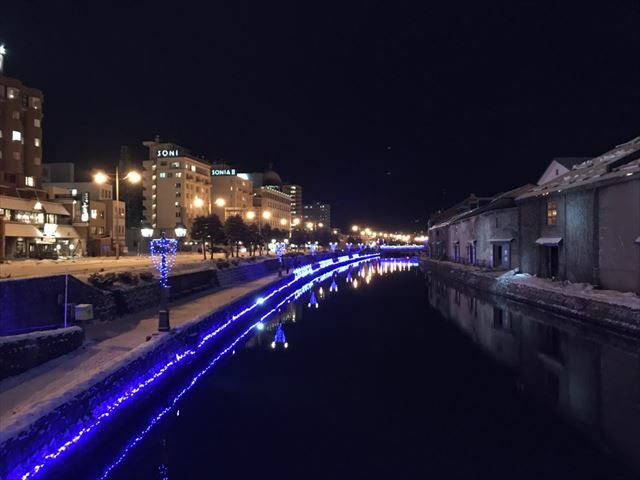 During the period of the Otaru Snow Story, an estimated 10,000 blue LEDs beautifully illuminate the Otaru Canal; it recreates the cool ambient atmosphere of Otaru’s “Blue Grotto”, which is recently gaining massive amounts of popularity during the summer period. 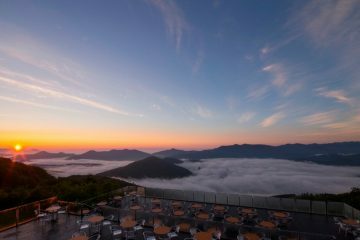 We recommend visiting in the hours of dusk, directly after the sun has set. 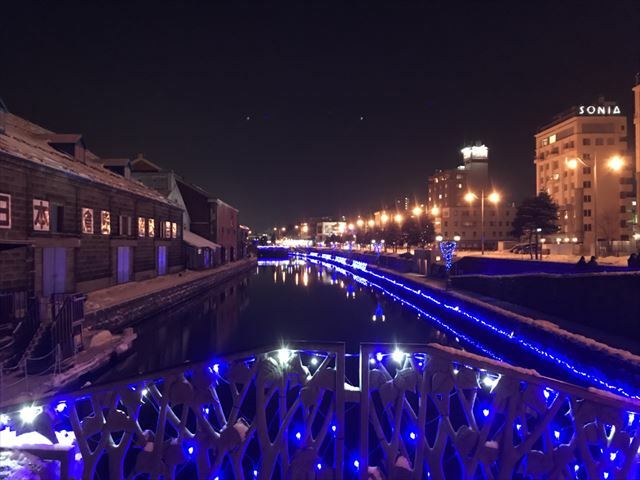 As there are still streaks of azure in the sky in this time period, the blue in the sky meshes with the blue LED illuminations, propping the Otaru Canal in an almost impossibly beautiful and fantastic sight. A little tip for the photo enthusiasts; by pointing your camera towards Akaiwayama from Asakusa bridge, you will be able to take a photo of two contrasting blues! 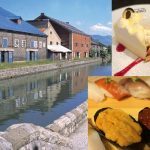 But to really and completely enjoy the Otaru Canal, we recommend riding aboard the “Otaru Canal Cruise” that cruises within and around the canal. For approximately 40 minutes, a colorful and bombastic captain will guide you about the city of Otaru while maneuvering and directing the ship in Otaru’s canal and port. We promise you, you will not spend a second of the cruise bored! From the history of Otaru to funny little tidbits and minute trivia, the captain will guide you in a variety of ways! 3. 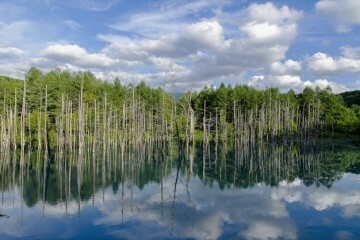 The “Glass Float Tree”, once used in Fishing, now loved as Photogenic Spots! 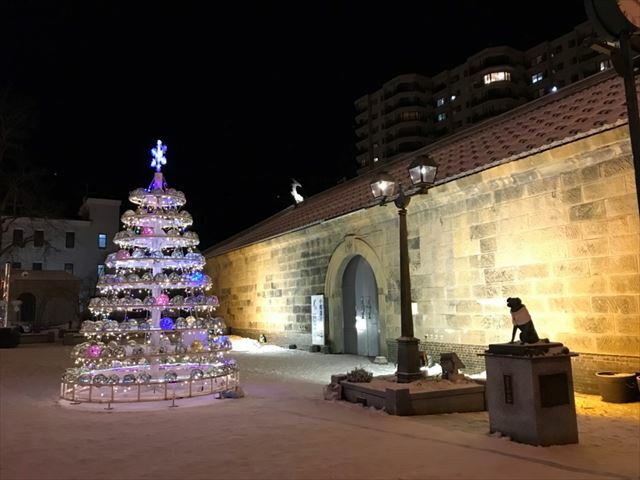 The “Glass Float Tree” is a seasonal feature of the Otaru Snow Story. An estimated 200 Japanese glass floats are used to produce this unique decoration. For the uninitiated, Japanese glass floats were tools used during fishing to make fishing nets float. For the town of Otaru that is rich in maritime business, the glass float is without a doubt an item that represents Otaru’s seaside history. The Glass Float Tree is displayed in front of the Otaru Canal Plaza, boasting a powerful height of 3 meters. Its location is also a spot where you can include gas lamps and historical buildings alongside the Glass Float Tree in aesthetically pleasing photographs. 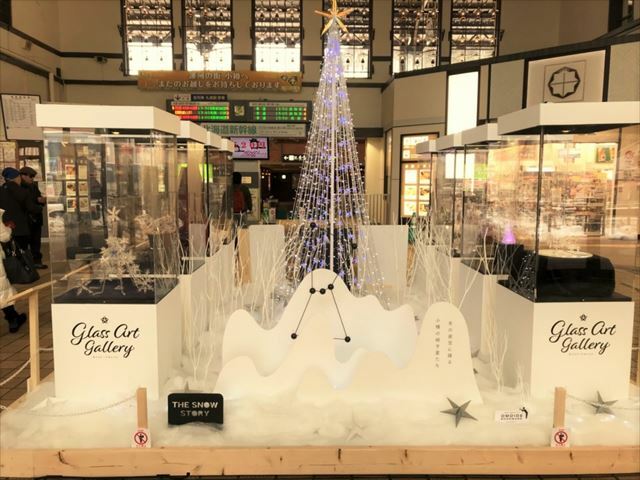 The art craft that truly represents and encapsulates Otaru’s claim as a city of glass is located in the main venue that is the Otaru Canal Plaza. This wine glass tower is made out of approximately 2000 wine glasses piled up on top of each other, cutting an impactful sight. On top of that, the tower changes into 6 different colors, and the atmosphere it gives off is also something to see! And, between the hours of 6PM to 9PM at Fridays and Sundays during the hosting period, a “Candle Bar” will be hosted where you can enjoy the local Otaru spirits while taking in the romantic lights gave off by the Wineglass Tower. We recommend spending a fun and comfortable time where you can enjoy alcohol while within a romantic setting with your significant other! Starting with the cluster of factories along the Otaru Canal, Otaru City’s historical buildings are, during the hours of the night, illuminated all year round. 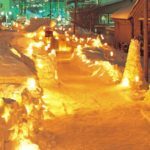 When it becomes winter, the season where the Otaru Snow Story is held, you can enjoy a sort-of natural collaboration between the snow and the city’s historical buildings. Its vibe is different to the buildings seen in the day, and while the night-time buildings are drowned in silence they are also illuminated quite beautifully and the lights reflected by the snow makes for a very soft impression. The allure of its appearance is such that you can’t help but have your gaze glued to it! With that, we have completed our introduction to the “Otaru Snow Story” that will be held in winter. The “Otaru Snow Story” begins the moment you arrived in Otaru. 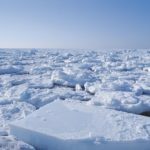 For people who want to spend time in the romantic and charm-filled city of Otaru, we recommend this “Otaru Snow Story” that can only be enjoyed in winter seasons. 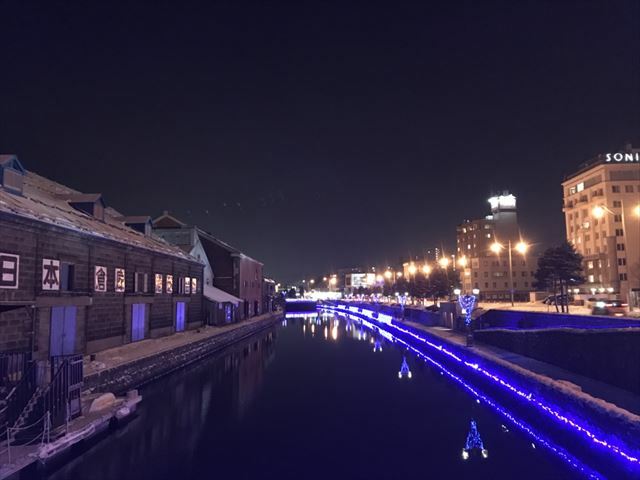 This is an event where you can enjoy viewing Glass Arts and stroll through the fantastically beautiful Otaru Canal, an event where you can enjoy Otaru’s tourism to the fullest. “Otaru Snow Story” – a must see for people visiting in the winter season. 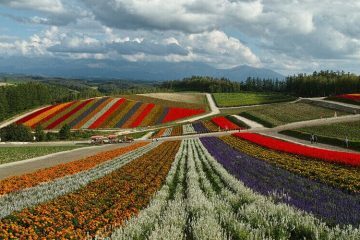 We heavily urge you to tour the romantic setting of Otaru at least once!